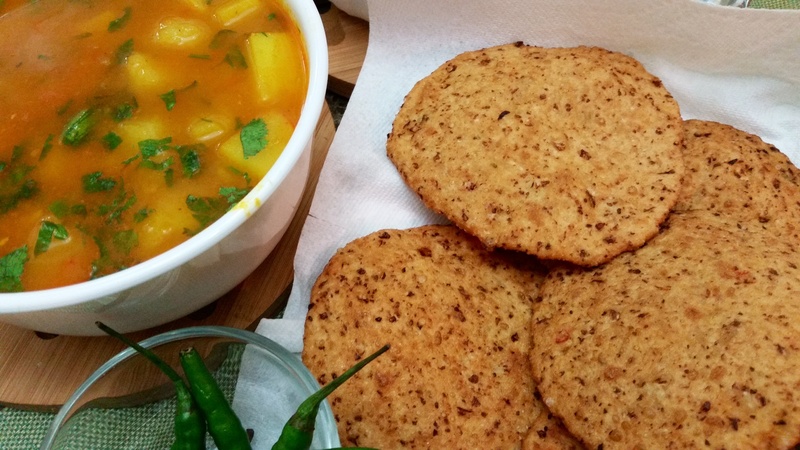 If you are a gobhi lover, try making these gobhi ki pooris….a delicious change from the norm! 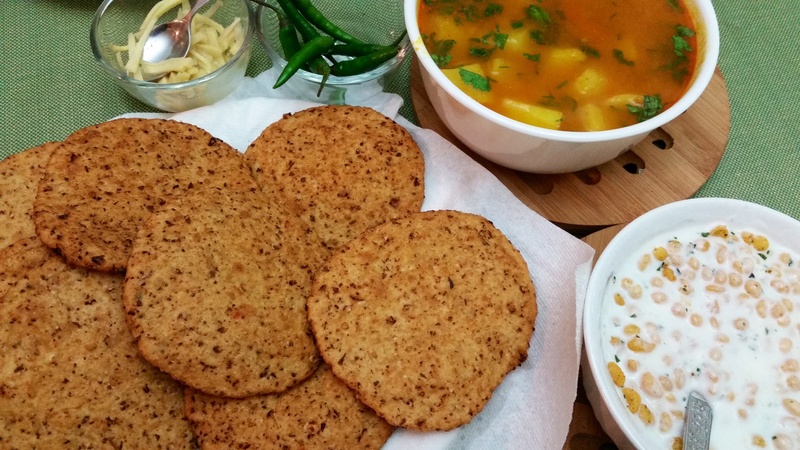 We enjoy them with alu ki Sabzi and boondi ka raita! 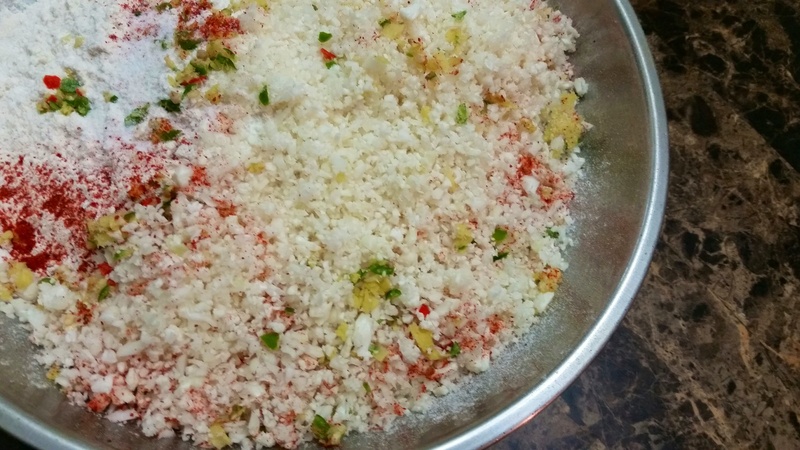 Take 2 cups finely minced gobhi. 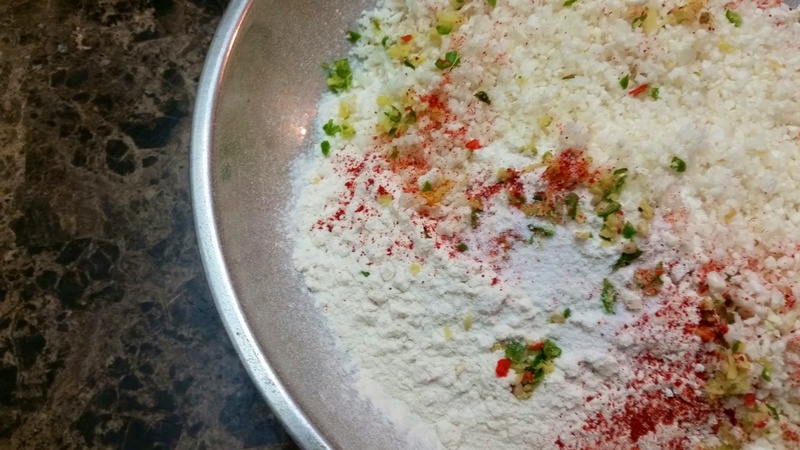 Add 2 tsp grated ginger, 2-3 minced green chillies, salt, red chilli pwdr and a hefty pinch of heeng. 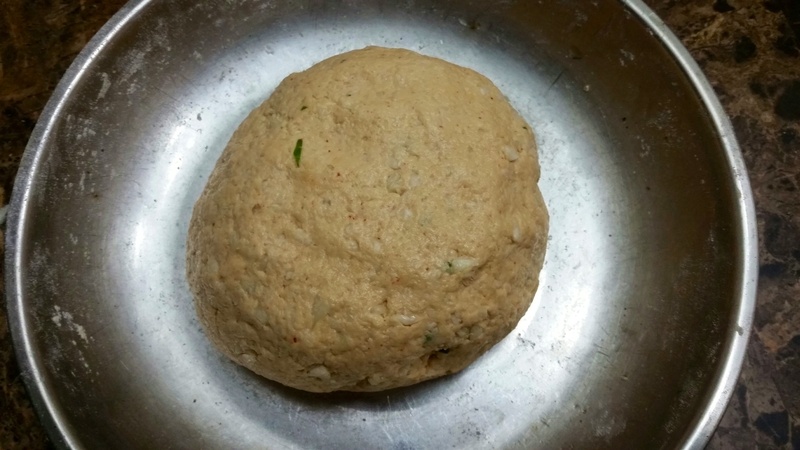 Make a rough dough of the above ingredients. 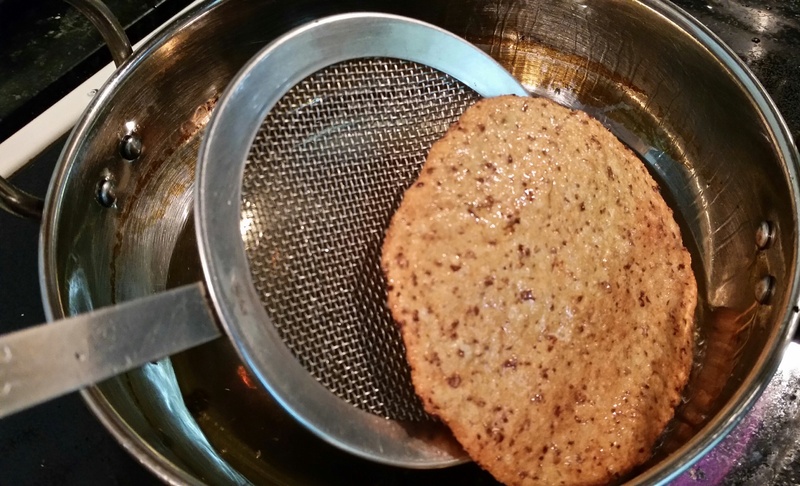 Use the lightest sprinkling of water while making the dough. Let the dough rest for 15 minutes. 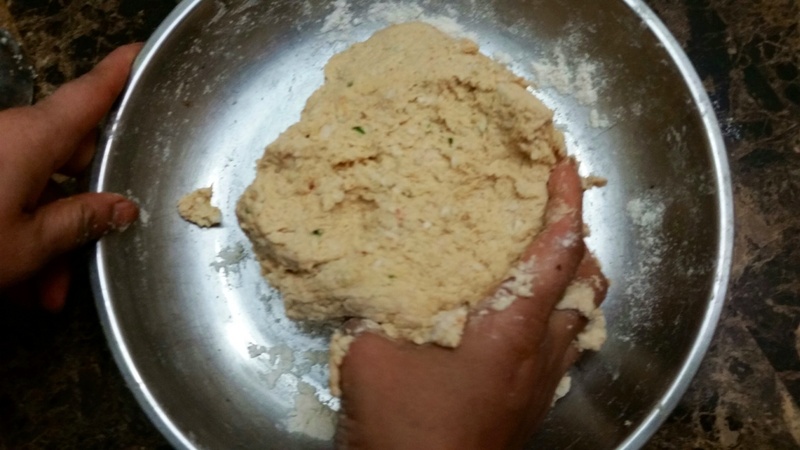 The dough will soften as the gobhi leaves water. 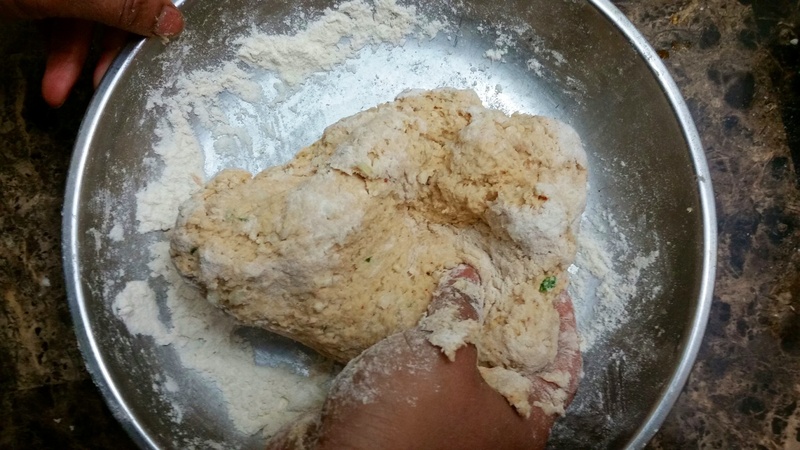 Now add another 1/2 cup flour to firm the dough. 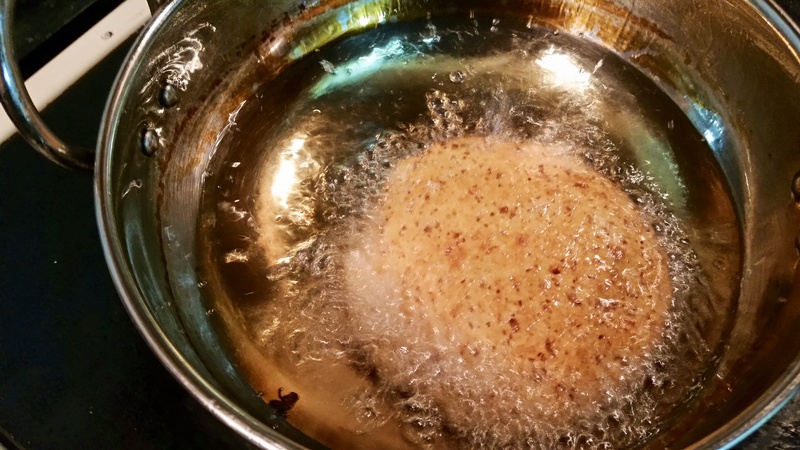 Also add 1 tsp oil and work the dough into a smooth ball. 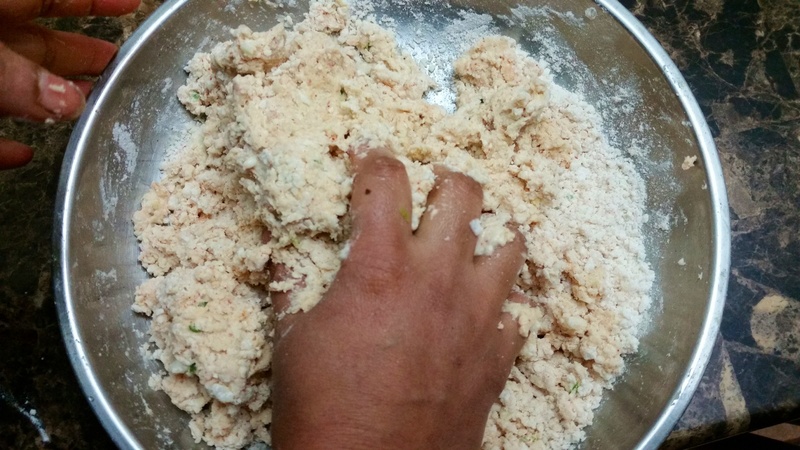 Divide dough into lemon size balls. 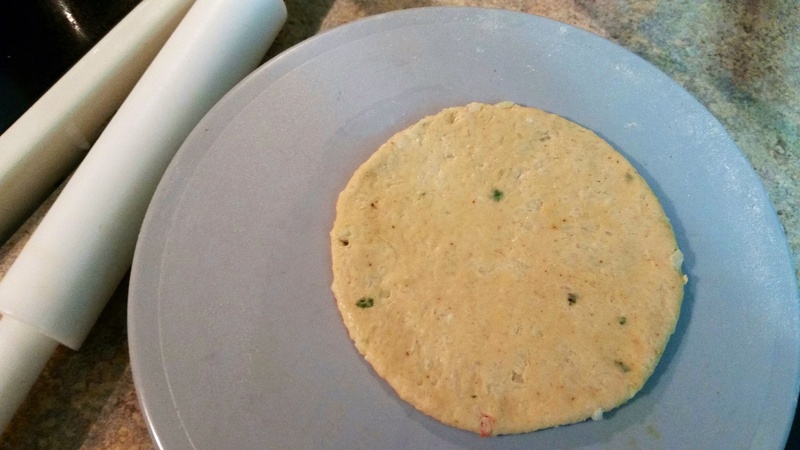 Roll out into pooris. 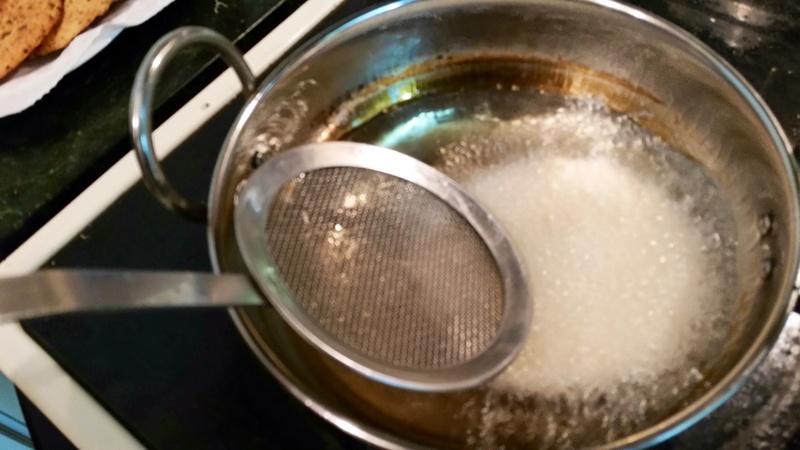 Do not make these pooris too thin, or they might break in oil! Slip them in medium hot oil. 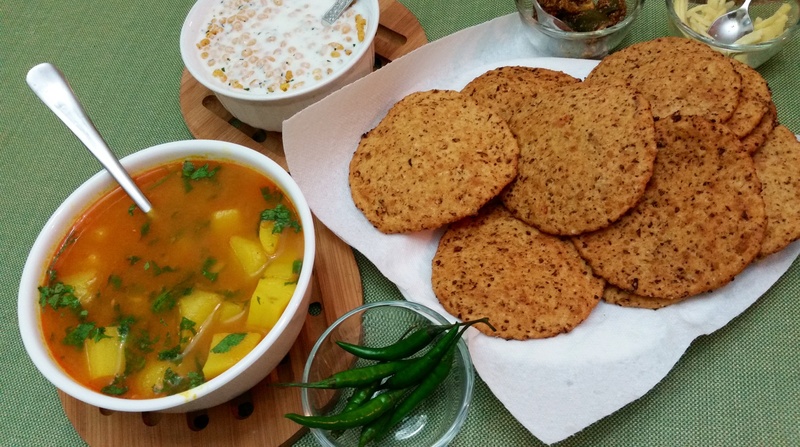 I enjoy these gobhi ki pooris garma garam with rase wale alu, boondi ka raita, Aam ka Achar, rachi hui adrak and hari mirch….yummm! 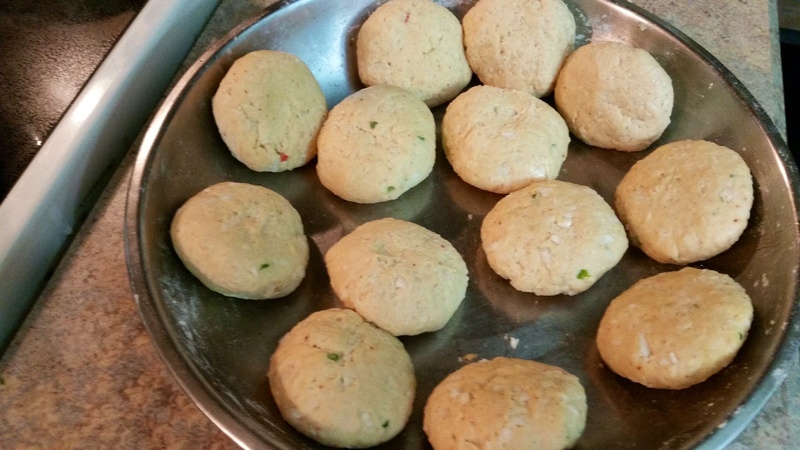 PS: these pooris don’t puff up much like the regular pooris….do not worry, just make sure they don’t break while rolling, so that they don’t absorb too much oil during frying!